This month we were busy with the Block Party and JFK (Just for Kids) Days. We are having a great summer! 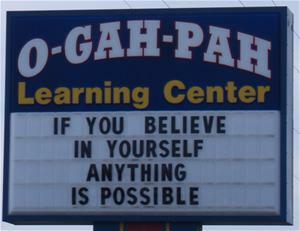 The O-Gah-Pah Learning Center (OLC) is tribally-licensed, owned and operated by the Quapaw Tribe.The OLC provides childcare for children six weeks to 12 years old. Tribal subsidy accepted. OLC serves breakfast, lunch, and an afternoon snack. Our qualified staff provide love and learning to every child.